True soul-deep healing, returning the hurt, lost parts of your soul to wholeness. Reintegrating the soul enables the ascension process. Join me here in the southern tip of Africa for a truly life-changing time of expansion, growth and discovery. Voyage deep into your own psyche with me as your guide... and then have encounters with the wildlife and beauty of Africa... again with me as your guide! 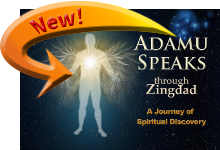 If you are ready to discover some of your alternate soul-stories... and to bring real healing to them... then this is for you! I am great at not only listening... but listening to what is behind the story you have to tell. And also great at offering new perspectives. I am here if you need a coach in your corner.